The ache in his muscles was easing; no longer did they threaten to leave him in a position that would require him to close shop this night. Let that be a lesson Krugey my boy, never play the Prima Ballerina and the Overworked prop Boy with Tara. That was what he told himself, but if the opportunity arose again, he was sure to make the same decision; he was still a man after all. His late night stop at the Red Dragon had paid off this evening. Ebon had promised him work, and then there was the stranger and his gem. Kruger eyed the gem with some suspicion as to its origin, but was reasonably confident that the right jeweler would take it off his hands at a price that would cover the rapier the man wanted. Strange the man would give no name, but not the rest. He wouldn?t be the first that had to be tracked down at the busiest inn in town. A look around the forge gave him that seemingly ever present feeling of foreboding. He had to get this place turned around quickly or go under once more. Fire had closed his first place, and an unwillingness to stay here where he had lost so much had pushed him off world. It was mere chance that brought him back. A battle that had left one ship nearly crippled and the other a hulking void was the key to his reopening a weapons shop. From that ship he was able to strip these new alloys. He stood to make a fortune, if only he could get the smiths guild to leave him alone. Kruger was putting every copper he earned back into this venture. His own needs he took care of by betting on himself at the coliseum. Above the cash counter was mounted a Katana sword, his masters piece. This piece had been his submission to the circle of masters whose duty it was to reward smiths with the title of master. Kruger had carried it for years. Above the doorway to the stock room a war hammer was mounted. This had belonged to his best friend and partner Hornfel. Horn had been killed by that mob of Neoists who had taken up residence in Rhydin?s back alleys. That was before the fire, Kruger still half expected to see the dwarf every time he entered this place. Upon the counter were the two pieces Kruger had most recently completed. The first was a bodice dagger, a neat little piece, and his design. The sheath was made from Malachite; Kruger worked often with this mineral. Its properties of premonition of danger, and its inexpensiveness made it ideal for weaponry. The piece itself Kruger called The Education of Merlin. The dagger was made to look like a large carving; the daggers were in an over under configuration. He had used lapis lazuli to invoke the user?s passion when they held the daggers. The lapis lazuli handles carved with characters. The top was the image of Cerridwyn with a large wooden spoon, where the dagger fit into the sheath the carving extended into the malachite. Cerridwyn?s pot in which she created her Greal potion was carved in the malachite. Below the pot were three droplets of greal falling into a chalice. The lower dagger went in here and its lapis lazuli handle was carved in the image of Gwion Bach reaching toward the chalice. The chain linking the two daggers to the sheath was a chain that seemed way to long. Kruger had made this of hematite for warrior?s strength. If the wearer chose they could change the configuration so that when drawn the two daggers could be used in such a fashion that they would negate the reach of a long sword. The other weapon on the counter was far less complex but just as intricate of detail. A wickedly curved wide bladed scimitar rest there unsheathed. Its hilt was gilded; the handle was carved bull horn. Upon the blade was etched in great detail a desert scene. The Great Bull lay hornless on the dunes. In front of him a woman lay on her stomach, her face turned to the side and visible. That she was dead was obvious for from her back one of the bulls horns stood erect. In the distance atop another dune was a tiny etched figure of a man walking away from the scene, in his hand he carried the second bull horn. The carving in the horn handle proclaimed the swords title, The Death of Ishtar. The anvil rested in the center of the forge. It was an altar, the center of the four compass points. To the south lay a metal ingot, a small step for the man who stood there. He spoke in a voice that rumbled like a rockslide. ?Always begin with the earth. With respect I call you spirit of earth to attend this making.? Kruger intoned, the ritual was begun. ?Mazi sebasmos ego diamartyromai esy s?ma apo gi este agorazo ide ktirio.? He said in the language of stone. The ingot vibrated in response. Kruger bowed at the vibration, though he could not see what was there. He had been told more than once by those whose vision was clearer than his. Amidst gasps of astonishment they would describe the spirits that appeared at his call. A complex being, definitely spiritual in nature rose from the earth outside and entered to stand by the ingot. It stroked the ingot lovingly and that is when the metal started to shudder. Most wizards had seen elementals before, but fewer knew that these beings had spirits, and almost none had seen one manifest itself, at least not with so courteous a calling. ?Agapaz? s?ma ego aphomoio? aresk?. Welcome spirit I am grateful to you.? Kruger spoke again as he straightened, his eyes never leaving the space beyond the Ingot. He turned then toward the East, the forge stood before him, its low flame the only light besides the sun through the open doorway. ?Everything burns. With respect I call you spirit of fire to attend this making.? He said. ?Yi Wo jiao dui huo de jing shen de zun jing chu xi zhe zuo?. He said in the language of fire, his voice dried leaves on the forest floor. The light glowed brighter, the flames of the forge went red to orange, Kruger felt the heat rise in the building, and bowed once more. Another elemental spirit had come, this one those wizened folks had described differently on other occasions. Sometimes the spirit was a salamander, or fire lizard. Other appearances were columns of fire, once or twice the column became a vortex. One thing that always remained the same was the placement of the spirits; it would rise from the forge itself, the flames giving it form. ?Shou huan Ying de jing shen wo gan ji ni. Welcome spirit we are grateful.? The voice of dead leaves said as Kruger rose, eyes never leaving the forge fire. A moment he watched before swinging all the way around to the West. On a table before him lay the bellows. He would attach it to the forge after the ritual was completed, only after the balance of the elements was tied together. ?The wind touches all. With respect I call you spirit of air to attend this making.? He said in an awed tone. ?Jo-kayed-goh-chindi-hal-zid-nilchi-di-na-nish? The language of the wind came in a hoarse whisper, a sentence ending with a sigh. Once Kruger had seen the spirit come to this summoning, it had been chance that dust had been caught in its passing, it outlined the spirit for all to see. This had been difficult to explain to the dwarven smiths who had come with his supplies. A stiff breeze rattled the windows; the bellows spun its nozzle facing Kruger. Again he bowed eyes resting on the handles of the bellows. ?Hal-zid da-a-he-gi-eneh chindi. Welcome spirit we are grateful.? He said, in a whispering sigh, as he rose. Eyes lingered a moment, then the right turn to the North. The quench laid there, a large trough usually containing brine. There were occasions where whale fat, or olive oil in a pinch, was required. The quench depended upon what was being forged. Brine would suffice for this labor. ?Water is life. With respect I call you spirit of water to attend this making.? he said with a demure respect. ?Ag ?m?s imp?m scairt spiorad sibh de uisce bailigh seo cruthaigh.? He said in a voice that was at once a babbling brook, and a crashing wave. The water stirred violently in the trough, Kruger bowed quickly, deeply though his eyes never left the surface of the water. Those scholarly types that were so impressed with his rites described faces that appeared in the waters surface. On rare occasions the violent reaction was followed by a face marred by anger, as though it felt summoned by insugnificant inferiors. ?F?ilte spiorad muid b? bu?och. Welcome spirit we are grateful.? He said in the language of water, rising and again letting his eyes linger a moment before turning to face the anvil. From his belt he pulled the three-pound cross-peen hammer, and stood it with its handle pointing toward the ceiling. He lay his hands over the hammer head, one to each side of the handle, and closing his eyes began to sing. ?Exhibeo exibeo ego ut necto simul tui substantia et pondera haec nixor. ? came the singsong chant from his lips. ?Allow me to bind together your essence and balance this labor.? In his mind he felt a convergence of strength flow to him. His ears thought they caught words, in the languages he had already used. ?We agree, proceed with your labor?, or something similar were the words he heard. He took up the ingot, it measured six inches long, four wide, and two thick. It was lighter than it should have been remnants of his dwindling store of special metals. A rapier was to be made, 42 inches long with delicate taper. The gentleman had requested a woven hilt, and a balance just aft of center. His final request had been durability of both edge and sword. These two characteristics were the easiest to bring out of a weapon. Start with the best metal, and get a competent smith. Kruger looked to the ingot and gave a small nod, he had pulled his best for this piece. The artistic content had been given to Kruger himself, with a requisite to lean towards humility. Kruger took up the tongs and picked up the ingot. He began to sing to earth fire air and water once more. In his mind decisions needed to be made, well little friend today is your day?what shall call you? The words of the stranger kept coming back to him as he worked. Kruger would know the man by his eyes, they would not be red. The suggestion of an idea was in his head as he sang to the elementals. They responded in like action, Kruger?s mind thought of men that looked similar, and the elementals worked those thoughts through the metal. The metal darkened by their ministrations, etchings began to run the blades length as the fire elemental began to dominate this aspect of the making. The earth elemental spoke in low tones. ?Castor and Pollux? it said to the metal, and the etchings the fire elemental was creating twisted themselves into the pair. They had stars above their heads, and St. Elmo?s fire surrounded them. Kruger knew the tale of the two, Castor the mortal brother was killed in a duel over a beautiful woman. Pollux was so distraught he tried to commit suicide, but being immortal, he was not allowed to die. He begged the gods to let him die with his brother, but instead the gods made a deal with Pollux. One day he would wander through heaven whilst Castor wandered through hell. When that day was done the two would meet in passing and exchange stories of their day. The next day Pollux would wander hell, while Castor stayed in heaven. Pollux agreed because it was the only way he would get to see his beloved brother. When next Kruger pulled sword to anvil he noticed the changes to the blade. The scene was subdued in the darkened metal; one would have to peer closely to fully see the design. He also discovered that the scene on the other side was a mirror to the first. Castor and Pollux changed places. Each design had the same general theme, the two with stars over head and strange lightning around them, but on one side Castor walked toward the underworld and Pollux toward heaven, on the other it was the opposite. Kruger knew the time was right; he thrust the sword into the brine bath. The orange hot blade sizzled as water steamed away from it. In that steam Kruger heard the water elemental name the blade and solidify it into the very essence of the sword. ?Masu? was all the being said. Kruger?s ears heard the name but his mind quickly translated it. Great Twins spirit? Gemini? Welcome to the world little friend. You are called Gemini, but your true name shall be Masu. Only two shall know it little friend, me and your master. Kruger pulled the cooling blade from the quench, and hung it to cool further in the air. It is important for long blades to have a rapid cooling to harden the outer layers and make them better able to take and hold an edge, as well as protect them from bending, or flattening along the edge. However the inner layers should cool more slowly to add flexibility to the blade, this will prevent breakage. Kruger would wait until the piece was completely cold before polishing it and putting an edge to it. He had seen swords change colors this way in his crafting before, he knew there would be no shining silver to the finished product. The black would burnish well, but the nature of this blade would keep that dark hue. It would be an advantage in low light fighting to be sure. When a sword did this, it was making a statement. It would either reveal itself to him, or it wouldn?t. One thing was always certain though; it would reveal itself to its master. The stranger at the Red Dragon would purchase or reject the handsome piece. Kruger hadn?t done anything with the man?s payment. To do so before acceptance could be catastrophic if the buyer suddenly had second thoughts. Either way Kruger stood to make a great deal off of this piece. Already he was preparing the handle to the piece and polishing up the left handed woven hilt that would adorn the blade. A left handed sword would be slightly harder to sell, but not impossible. Many of the gladiators down at the arena were ambidextrous. A few more hours and we will know your fate for sure Gemini. Kruger thanked the spirits in turn. He praised the quality of their work and begged pardon for being such a lowly creature that all he was able to do was be a witness to their expertise. Elementals are temperamental at best sometimes. It is always best to stroke their ego with compliments if you are dealing with them in an un-warded fashion. In their hearts they knew that Kruger represented the spiritual fulcrum that had kept them in balance. Without his service in this fashion the four would try destroy one another. They left him silently, because they too were sorry that he was such an inferior make of creature. His mixed parentage barely gave him a mirroring of their true powers. They looked to Masu and agreed that it was good. Darkness settled over the smiths forge, shadows growing longer as the dust rose and swirled. Smoke fell from the sky, blurring the world around them. A slow steady beat of wings moved the wind and carried the dragon downwards. Shaking his scaled head, he blasted forth a peircing shriek, smoke rolling from his jaws. His body blurred, hidden behind his magic. Within moments, the familiar figure of the Drow stepped out of the smoke. Pacing his way to the forge, he let black eyes fall on the smith and the blade. "It is near to being done, yes? The whispers in the dark have told me this. They have told me so much...Gemini will dance in my hand before many more days live and die. And she is crafted perfection. Suffice to say, the contract is filled, the price set. I have one thing to add though, for truly you have created a masterwork." The drow reached into a pocket and dropped a handful of scales onto a nearby table, saying "They are my scales. Never have I given them and never will I give them again." The blade was studied, black eyes tracing every fine detail. "Truly, you are a master of your trade." Kruger moved to the deposited scales, he used a flat edged metal cutter to scrape the scales into a mason jar. They had to be handled as little as possible, in order to prevent corruption from outside sources. He would asses their nature later, after the sale was closed and the merchandise had left with the buyer. To do otherwise would be disrespectful of both customer and the piece he so carefully inspected. The original hilt had been discarded, the color seemed too audacious for the darkened blade. Kruger had made choices based off of a belief that the color scheme would have been silver hued blade with golden weaved hilt. Instead brought out an old mithril piece, its shining silver appearance gave the rapier the simple elegance he had hoped for. The polished Malachite handles deep blacks and nearly jade green added an otherwordly depth to the overall piece. Kruger was glad the patron was impressed with his work. It did a smith good to be appraised favorably. Word of mouth would carry more customers through his doors. A chiming at the back door caught his ears. The deliveries came through that way, its proximity to the stock room made it fundamental in motion conservation. The only issue Kruger had was that he wasn't expecting any deliveries today. Other things made their way through the back door though. Mice, and birds frequented his building even the occasional. The relative newness of his occupancy hadn't fully registered to the street denizens. Perhaps though the most welcome thing to come through that door recently was information. Kruger pulled off the leather apron he used in his makings. A shadow in the stockroom caught his eye. Too big to be a street rat the thought came and went swiftly. He rubbed at the stubble on his chin. The slight stretching of the skin at his cheek brought the brand beneath his left eye out in a clearer detail. It had been an unwanted gift from Fenris at Kruger's enslavement day. A wolf stood hunched over, in its mouth it had what could only be described as an eye. The face of Ragnarok, Fenris had called him before parading him into the fighting arenas. Kruger slammed the bitter memories from his head, he needed to stay in the here and now. Kruger moved slowly toward the stockroom door and turned to peer in side. The five foot six frame with the axe handle wide shoulders gave a bald headed nod to whomever was in there. A softly whispered, "give me a minute or two I am with a client." The door was then taken into hand and closed. Sadly the figure wasn't his most recent distraction either. Kruger ran a hand over his head the green eyes grew a little wistful. He wasn't sure what to do about Tara. That he enjoyed their time together should be plainly obvious to anyone within earshot. Kruger felt that Tara would never let anything more come of what they had. Too many bridges had been crossed for her to ever get that comfortable with him. Kruger blamed himself for leaving years ago. He blamed Cor because of the recent knowledged gained of the relationship between the two. Finally he blamed Anubis for not being where and when Tara needed him. Kruger narrowed those pale eyes, and furrowed his brow at the thought of the man. His fist clenched involuntarily. Anubis, the man made Kruger want to snap his fingers at him and say shhtcht. Was it the jackal head, and the fact that he had seen too many dog whisperer shows? Kruger began to hum wordlessly, a calming tune to attempt the regaining of his self control. In his heart he knew that it was not the dog god, it was Tara herself. He would seek her like a junky for heroine, and hate everything that got in the way of that fix. Rationally he knew this he had resigned himself to be simply what she needed as she needed it. After all, wasn't it better to wake up with her dulcet tones shouting, "Wake up soldier. Is that all you got?" than to be bereft of her? She walked into the forge the smell of sulfur assaulting her nostrils hoping to just retrieve Nullam and leave. She didn?t want any more association with this man than she had to. ?Nullam Where are you I know you?re in here? She called out to the bird. Hearing no reply she begrudgingly went further into the Forge. Seeing a strange character blocking her view of the forge master, she studied the Dark elf for a moment watching him and advanced forward glaring at Kruger. She turned next to him as he moved and took off his apron disappearing into the backroom. She scanned the area and looked in ever crack and crevice that Nullam could be hiding in. ?Come on Nullam!? She turned to see Kruger back from the back room and Nullam perched on his shoulder. She opened her mouth in shock as a gust of wind came into the forge. Whispers only heard by Kruger ?It is she??? The bird had come from the shadows. It landed on him without fear, Kruger of course recognized the girl?s guardian. That was when the uptight calling of the girl hit his sensitive ears. When he turned to confront the girl the wind pushed its way through the doorway. It could be unsettling sometimes to be spoken to from the depths of nowhere. This time Kruger was grateful to the elements that made up his occupation. The road his thoughts had begun to travel would lead only to his pain. Kruger checked the sad state of the girl; she was obviously upset and lonely for her constant companion. She seemed on edge; Kruger made a mental note of the odd shaped bulge that occupied her small bag. ?Taliesin made much of you girl, but you seem in as much a state of disarray as ever I have seen.? ?I?ll have my bird mister, don?t make me hurt you.? There was some frantic scrambling toward the opening of the leather pack. The bird on Kruger?s shoulder let a squawk out that seemed to calm the girl. Kruger was aware that the bird understood him, and certainly it understood her, but it seemed she was in tune with the thoughts of the raven on his shoulder. This boded well for any future training that would commence, as soon as the girl lost the chip off of her shoulder. ?She is so young.? Kruger replied to that voice on the wind. ?Tell me girl, can ye tend a fire?? Alice took a step backward as Kruger addressed her. She nearly bumped into the drow whom she had sidestepped earlier. ?No need to respond girl, your father employed the merlin, and it was he who called on me. You need to know that a forge runs on its fires, if that fire goes out, the forge closes down until the fire can be brought back to the proper temperatures. Anyone staying in this shop at night knows to tend the fires at night. To steep them well so that it is a short time to get to work the next day.? Alice charged forward and made a grab for Nullam. ?You won?t keep me against my will.? Nullam of course had other ideas; a couple swift wing beats took him to the rafters. The girl stopped dead in her tracks, her face took on a betrayed expression. ?FINE, YOU STAY!? She shrieked at the bird. She turned and took to a dead run out the open double doors in the front of the forge. Kruger stared after the girl in silence; this was turning out to be more trouble than the paltry salary that was promised. He was not going to try to force this girl into his care. He had given up trying to break teenage girls the first time his oldest daughter Wisper had brought home her first pet. Kruger looked to Nullam on his perch; he pulled a brass key from his pocket and laid it atop the table that now housed the masonry jar with the dragon scales. Raven?s he knew loved to take shiny things. His bait was rewarded almost instantly as the raven swooped in grabbed the key and shot out after Alice. Kruger ran his hand once more over the bald pate in thought before turning back to Cael. ?Can I interest you in a bonding ceremony?? Seventy two blades had been commissioned, a large order to be sure. Kruger had promised the work would be expedited. Kruger now felt himself fortunate to have so few customers when he opened the shop. Having no customers gave him plenty of time to work on his stores. He had been crafting generic blades for display but he was far from the quantity that Ebon had asked for. It would be a short wait though for the first installment. Ebon was heading up the creation of a small fleet of coastal guardians. Half a dozen had been the count, and a ship?s crew of twelve. Ebon had explained that the first ship was already accounted for, that meant Kruger was already behind by twelve blades. He stepped into the stock room and examined the slowly filling shelves. He expected Ebon would be by in the very near future to collect a small sampling of the new metals Kruger had acquired in his off world travels. He hinted at another job, this one would be more of a custom order, but was playing it close to the vest. Kruger enjoyed doing the custom work for which he was starting to make a name. The exacting detail work thrilled his sense of accomplishment when he finally got to look upon the finished product in the presence of the buyer. He had yet to be rebuffed in his creations, but knew the time would come when a piece was not purchased. Kruger had mixed feelings where this was concerned. On one hand it disturbed him not to be able to satisfy a customer; on the other the piece would find a place in his display case. He wondered if a painter ever felt loss when he sold a piece. Kruger felt this on occasion; he would put so much of himself into his work that to watch one walk out the door was akin to losing a thumb. Kruger gathered up the cutlasses and short swords he had already and moved them out to the main forge. A leather cloth covered a table near the doorway. He carried his burden over to that table and began to line the table with the weapons. A return to the stock room brought him to the rack with some higher quality sabers. Not that the weapons themselves were of any greater make, but the detail work made the sabers flashier. Kruger would put these out for the senior officers on the ship. The first saber was an eighty eight centimeter beauty with a basket hilt crafted from red gold imported from the east. The second ran thirty five inches long and had a cross hilt that had garnets at the cross point and the ends of the hilt. The third had a forty inch blade and a woven black hilt that ended in the mouth of a panther, its ears were lowered back, and its eyes were small Peridot. The quality was poor on all the stones, the clarity was cloudy at best in the case of the Garnets, and nearly solid in the where the peridots were concerned. Kruger could switch the gems for higher quality if the recipients wanted something better, but it would certainly increase the price on the pieces. Kruger was sure that the officers on the small craft hadn?t had opportunity to gain that much wealth yet. Kruger placed them with the other swords and then pulled four irons out and set them to heating in the forge. If he worked quickly enough, then he could work one piece until it grew too cold, then begin a second while the first heated. Four at a time was about all he could hope to handle; having more on the fires would allow him to work more at the same time. Time however would work against him this way; he would need to finish each piece he started. Four at a time would allow him to finish and rest a few hours and then do four more. To attempt eight might seem like it would get them made faster, but quality would begin to lower the longer he had to stay awake to finish them. He began the making as he began every making. He called to the spirits of the elements, if they attended this time they were silent to him. It wasn?t an uncommon occurrence that they would join and simply observe him. Today might simply be one of those days. Hammer falls followed his rites, and his songs could be heard between strikes. Guarding the coast put him in mind of defending the innocent of Rhydin. Defending innocent for some reason put him in mind of a small red haired woman. Tara was not exactly innocent, but it didn?t stop Kruger from wanting to defend her. He had been afraid to remove his shirt for her at first; he wasn?t sure how she would take the lash marks that scarred him. There were still markings where barbed hooks had taken flesh and muscle from him. It was true that Kruger had been enslaved, but he never let himself become a slave. It was this attitude that had brought on the beatings; Fenris was obsessed with the number thirteen. It had later been pointed out to him that he had been given thirteen times thirteen lashes with the whip Fenris called his trifecta, a nasty three ended whip that hid those hooks in its ends. Tara remained silent on the subject, Kruger refused to ask. He did not want to risk the loss of something which he had begun looking forward to with greater anticipation. Not to mention that she was often defensive when he would ask her questions she deemed as being ?too personal?, and ?getting in the way of their fun.? Kruger thought that someone must have used her personal life against her. It must have hurt badly for when he would broach a subject that bordered the personal realm, fun turned to slightly painful. He accepted it, and truth to be told he even enjoyed it. He often wondered at these times if she was punishing him for asking, or punishing a memory of the person who caused it in the first place. A third option had come to him earlier this day that she may be trying to simply fight off the memory itself. Perhaps her ministrations were changed because she was trying too hard to forget. Whatever the cause was Kruger would endure, and match her passions. Sometimes bring her to this point on purpose, the woman barely slept otherwise. It was only after these nights that she would fall deep enough that Kruger believed she dreamed. He was sure only because it was the moments when dream state took her that she looked a little vulnerable. Kruger enjoyed those moments; the silence of the room would ruin his sense of time. He never knew if it was a minutes or hours, all he saw was her. The only problem he could foresee with this association was how often his thoughts were taken up by the perceived conflict. He had been working these blades while thinking on defending her, and remembering pain. This set of weapons would certainly carry the marks of those thoughts. He almost felt bad for the people who would fall to them. You four I name Walls of the Castle, you will defend your masters as the walls defend the keep. The drow simply stared at the exchange before shaking his head and saying "No. You can not. I will be married soon, yes. But that is not the point." His hands shot to an empty sheath at his right hip before he extended that same hand to the man, five fingers held up. "Those fingers mark the time that I have." One finger dropped down. "And that is one day gone. I must have the blade. Yesterday would have been best. It must be ready for use within four days." Nodding again, he took a step back and dropped a small card on a table. Pointing towards it, he said "You will find my home at the docks. The arch in the stone with the words "L' ust d'lil vaen" carved into it. The door will open for you and you alone at this point. We have much to discuss, yes?" "You will find my home at the docks. The arch in the stone with the words "L' ust d'lil vaen" carved into it. The door will open for you and you alone at this point. We have much to discuss, yes?" There was time, if only a little before this last night of the Winterfest celebrations. He brought the rapier, in oiled cloth tightly wrapped to keep out the moisture of the snowy weather. The doorway spoken of did open for him, but it was very quiet. The strange surroundings made him uncomfortable. In times like this it always seemed that innocent noises held dire shadows. Experience had taught him that such consequences did indeed exist inside of the most negligible of noises. He remained calm, the bound rapier in his left hand, the right strayed closer to the more familiar hammer at his belt. ?I have come as you asked sir. I?ll not stray further into this place until guidance is sent.? His words echoed off the walls of this place, and the small noises, now defined as dripping were slowly being replaced by the sounds of things shifting. The echoes of the place confused his hearing enough that he could not tell whether it was above, below, or some room off down the corridor. He stood steady, patience always yields rewards, though one cannot always predict what form that reward will take. The desk was littered with drawings, ideas that needed to make there way onto the page or be lost to oblivion. Ideas never seemed to stack well for him, one always seemed to push out another. It was these pages that kept the idea fresh in his head. Looking at the top most one he made a minor adjustment to a line. There dimensions lined out, as well as odd notations that were defined in the bottom corner of the page. This particular marvel was a thing of springs and levers. Kruger didn't know if it was what the client had in mind, in truth he wasn't entirely sure it would work as drawn. The only thing that he was sure of was that the materials needed for this could be easily added to the much larger order he was expecting to come. The client wanted anonymity, so he would bury it in plain sight. He had been away for a time, away on business. The familiar alrams went off in his mind during the flight though. A small echo, a disturbance in the magics holding his home on this plane. Someone had been there. The echo was not a bad one, more of a strange one. The item the man had carried was the thing that triggered the noises, the shadows had spoken. It was done and they screamed at him, but the voice he heard more was the voice of the blade, the sentient soul. Such was his connection to magic. The elder dragon did not use magic, he simply was magic. Ethreal wings titled to the side, carrying the behemoth over the city before he spotted his target, the area in front of Kruger's shop. The sun blotted for a moment as the moving shadow turned and slid downwards, it would seem that dusk had come earlier this night. As the shadow faded, the drow stepped from a corner and padded towards the door of the man's shop. "I was away...Tell me though, it is done? I heard it speaking to me. The voice was most interesting. A solid voice among the ever changing shadows, yes?" Mismatched eyes scanned the room, looking for the source of the new song in his soul. The rapier was held out before him, the bindings on the oil cloth were removed to reveal the finished project. The dark blade was burnished to a finish that at once absorbed the light, and yet had a semi mirror like surface. The twins were prominent upon the blade. The woven hilt was silver hued and striking in contrast to the rest of the sword. The handle was made of the malachite stones shaped to be handled comfortably, the black of the stonework blending well with the blade. Green striations had been painstakingly positioned to run into one another and give the handle the look of a created pattern. This had been accomplished by first taking a solid piece of Malachite, and cutting it into smaller pieces. Those pieces were polished and shaped, and then put together in the same order and direction as when they were whole. "This is some of my best work, sir. I saw that you already posses a scabbard, so I did not have one made for you. I felt by your description that this was to replace what you had lost already. If I am wrong, please tell me and I will see that one is created immediately." The sword was offered to Cael, held in both hands. Kruger brought the hilt around to Cael to take that which he had ordered. "If it pleases, sir then I must take my leave quickly, this is the close of the Winter Festivals, and I have one who waits for me to join her." There was a touch of a smile in the green eyes of the smith. In part it was for the work he offered, and the rest was for a small dark haired dark eyes girl. The sword was taken, one hand wrapping around the hilt of the rapier. The other hand slid to his hip, a small dirk drawn. Oddly enough, the black of the dirk only seemed to match the other blade as they both slid into an incredibly complex pattern, tips cutting holes in the air as they danced near the smith. Dropping both points, he saluted the smith and flipped them back into the repextive sheaths. "You were right. It was made to replace a weapon of legend, yes? And I am thinking that it is simply...better." A quick nod finished his statement before he turned and said "Yes, it is that time of year. I am hoping that you are enjoying your time with this lady. I am going to enjoy my time with mine, yes?" A few steps lead towards the door before he turned again and bowed. "There will be a time when I will be needing armor. You will be the one." Tiny springs and levers, shapes that slide in and out by forces unseen come together in a package that was a rough circle two inches thick and six inches in diameter. This was the condition of the mechanical device that rested before him on the bench. The pivot points held an elongated bolt that pierced the center of that disk. The tumblers were unlike anything he had done before. They numbered nine, and each had a groove that was cut deep into it. The objective of those grooves was to provide a pathway for the unlocking mechanism to snap closed and activate the spring holding the bolt in place. The placement of that groove was what made the unorthodox key work. Lodestones of differing powers were used to pull the tumblers into place. Placement needed to be near perfect, if a single tumbler didn?t actuate far enough the unlocking mechanism would smash into the tumbler, and the spring that activated it would come off. Once the spring was disengaged, the lock remains stuck until the spring could be reset from the lever on the inside of the door. This could pose a problem if it was a mistake made by the holder of that key. Kruger believed that the man that contracted this job wasn?t prone to make those mistakes. Kruger had also done something to ease any misgivings the client might have that Kruger knew how the lock worked. He had made it so the tumblers could be reset in any configuration. It would take a little time to do, but the added value of the possible combinations for this lock should satisfy him. The moment the man had started to suggest something too intricate to pick Kruger had begun to doubt that he could do it. The tumblers themselves were hexagonal, and each side had that grove in a different location. Nine different powers of magnet and six different groove sets. It may not be impossible to pick, but it would require a lot of time. And then you only had the one attempt before disabling the locks functionality. This was the brilliance in the design, and it was that last feature that he believed would satisfy the client fully. He put the lock away, and wrote a quick note to the buyer. It was a simple message, Prototype complete. The fact that it was on paper with the shop letter head would tell the man all he needed to know. He would leave it at the place he knew the man to visit often. The darkness outside told him this was a good time to close up shop, and make his delivery. The Spaniard had made a promise. It was time to see about fulfilling it. He would not have asked around for the best metalsmith in Rhydin. Opinions were things everyone had, coloured by one's own experiences and predjudices. He preferred to make his own choices. Had no one else to blame that way. Besides, he had been in attendance long enough to observe and observation was something at which he excelled. He had been doing it long enough, long enough to form an opinion, a calculated guess, product of seeing, feeling, thinking, all his God-given attributes as human. Life was just a series of observations, then, and what a man ended up doing with them, with a hope that the final choice made, when all was said and done, was the most likely. So he made his way to Kruger's Exotic Weapons Armour and Leather shop, located in the very heart of town, of course, for what town of any importance placed anything else at its hub but its forge? The forge was central to a thriving community, the very place from which all means to undertake life radiated. Progress and therefore the very town itself would be won, or lost, depending upon the skill and integrity of the forge and the man who tended it. The forge could preserve life, in the way of making the wheels for the wagons that carried supplies, in the way of making shoes for the horses that were the means of transportation, in the way of creating blades and swords for the protection and defense of those living within the community....or it could destroy all of that, if enough warriors wielded those forged blades against the town. Antonio was on foot, whistling as he walked, thinking. Thinking about where he was going brought to mind the colloquialism he always found amusingly truthful, usually with the reflected astonishment of how few people understood its implication - that antequated proverb, "For Want of a Nail". It was the little things, the simple things that really mattered. Surprising how few people really knew that. He walked throught the doorway of Kruger's forge and was assaulted by scents and scenes of days-gone-by familarity. And he smiled. As far back as he could remember, he loved the days when the blacksmith arrived at his father's ranchero to make the shoes for the horses and repair wheels for the wagons. As a child, he would sit upon the ground beside the man, observing in awe and wonder the process: the fire would be started, built by the bellows to a great intensity of heat, then the bar of iron was plunged into the heat of the forge, removed in its redhot crystalline state and beaten into shape with the hammer, beaten time and time again, until it was the perfect shoe for the horse's foot, then plunged into the waterbath for cooling, before making the nailholes and finally nailing it on. He marveled at how the smith could tell just when it was ready. How did he know, when it had been beaten properly into submission and shaped for just that one foot? He especially was entralled with the making of the nailholes in the side of the shoe. The iron would glow red-hot, the tip of a nail placed just so, the hammer brought down upon the head once and only once to create an entrance into the metal that would become a hole for driving a nail through and nailing it to the horse's foot. It had to be a perfect placement, too close to the edge would weaken the integrity of the metal at its outer edge, possibly even breech it, and the shoe would have to be reheated, the process begun all over again. The sing-song sound of the hammer as it struck the iron, two beats in succession, ringing in the air, clang - clang - and equal from each other, the third allowed by the force of gravity to lapse into smaller clangs of less force, coming finally to rest upon the metal - and lifted to do it all again - was a rhythm that the boy found he would hear all night in his dreams, could still hear it now, if he listened hard enough. And the man himself: his muscles bulging with the strain of the work, sweat forming and drizzling in little wet trails along skin bronzed by the heat of the forge, his hands of gigantic proportions capable of exerting such strength they could bend iron, yet such gentleness in the touch of palm to horse's neck in a well-done pat for standing calm, or the fingers sliding down a leg, to ask by their placement, the lifting of a foot. The smells of heated metal, sweat and horseflesh, the hiss of steam rising when the metal was being plunged into and cooled by the water....these were remembrances of an easy, carefree time of his youth, when the days were light and lively and full of the pleasure of childhood play with the horses and the blacksmith who could create any shape, shoe any horse, bend any iron to his will. His memories were of all of that and of watching a man in the process of creation, something he later would come to believe that only God had ability to do. God and the blacksmith, to a boy of six summers, they seemed not so far removed, one from the other. And it was a boy who had brought him here, the boy who was his son. Upon his visit with the children at Yuletide, he had promised that he would visit them regularly, a promise he was keeping. And he promised a special gift to each one of them, something they would have to remind them of him when he had to be absent from them, but also something they could do with him when he came to visit, something he would teach them to use. Zoee was to have a pony, her very own, and Antonio was to teach her to ride and how to care for her pony. And Zander was to have....a sword. Perhaps it would be an Espada Ropera, like the one he himself wore, perhaps something else, but that was the purpose of Antonio's call upon Kruger this day. At the age of three years and four months, the Spaniard thought it was high time for the boy to begin his lessons, even if he was only three and a half feet tall. Perhaps a special material could be found that would grow with Zander, age as he aged, and this would be a topic of discussion between the Spaniard and the metalsmith. "Hola! Donde esta usted, Senor?" The door to the stock room opened, the broad form of the smith carried a grinding wheel. He gave a nod to Antonio, having heard the man calling for attendance. ?A moment sir.? He hefted the wheel over to a base that stood empty. He had designed this particular base to his own physical needs. He raised a foot and placed it on a cross base, the wheel was settled onto his knee. In doing this he had positioned the whole perfectly to accept the shaft that remained in the framework. The ability to hold the wheel with leg freed his hand to claim a wooden mallet and drive the shaft all the way through to the opposite side. More would need to be done of course to make the grinding wheel usable, but they could wait until business was completed. ?Welcome to my shop?My name is Kruger, how may I help you this afternoon?? Eyes the color of grass that peaks through the snows in winter looked upon the Antonio. The wolf branded face sized the man up. He looked to the man?s stance and how he carried himself. Kruger eyed him as closely as a gambler would horses at the track. He moved to a cluttered desk and pulled a measuring tape from amongst the papers there. Atop the papers was a disk borrowed from another denizen of RhyDin. Drawings of this disk were pinned to the desk by it, and on those drawings notations. Kruger moved towards Antonio intent upon getting the man?s measurements in order to better service the customer. ?What shall it be today? Are you in the market for a weapon?or armor?? Something in the man?s expression stopped him from asking those mundane questions. The amber green eyes narrowed slightly as knowledge passed through the veil of everyday sales. ?You are not here for this.? He held up the measuring tape, a small pop from the coals in the forge could be heard in the silence that passed. ?You seek something?more yes?? Insight brought a change to his demeanor; the weapons maker returned to that desk and pulled free a large sketch pad. ?Tell me what you seek here good sir.? He produced a pencil, and listened to Antonio. As the man described his need Kruger began to sketch a blade. The Espada Ropera was an elegant blade, from its double edged tip to its two inch wide base. The swept hilt was necessary in order to call it by that name. Antonio however had some rather exotic ideas for this sword. Exotic intrigued Kruger, he began to calculate everything he knew about metal before realizing that he would need to study further in order to find what the Spaniard was looking for. Kruger had seen something once recently since his return to RhyDin. It had been a sea creature but it was suspended in air. He wasn?t certain how this anomaly came to be but knowing it was possible gave him hope for this creation of the Spaniards. After a great deal of study on the subject of metal that grew of its own accord he found himself reading much that hadn?t originally occurred to him. It had been Eregor that set him on a possible pathway. In the sea far beyond what Kruger knew grew a type of coral. This coral was metal, but this is where Kruger?s predicament became difficult. It was one thing to find a viable metal, and another to guarantee that it would be a good medium for weaponry. If it were strong enough and not too brittle were the first things on his mind. Would it hold an edge once he tried to manufacture the blade? Assuming that the prior considerations were viable, the process itself was one that would destroy the metals ability to grow, not to mention the poor creature inside of it. He kept coming back to that cephalopod mollusk. If it were able to enter RhyDin and not only survive, then there must be a way to ensure that this coral would not only survive the extremes in the process but also thrive afterwards. It seemed obvious that the sheath itself would need to be special, but that was putting the cart before the horse. The only thing he could do at this point was order some of the material to be gathered, and perhaps speak with the Keeper of Water on Twilight Isle. Kruger made plans to do just that. He sent missives in several directions; he wasn?t sure why they kept sending that same boy to him every time. It surely couldn?t be anything he had done to put off the other messengers. I mean all he expected was perfection in the messages he sent. Surely that wasn?t too much to ask of a business that was supposed to be about the accurate delivery of messages. Perhaps he would tip the boy this time when he got back, assuming he did the job satisfactorily. He had one for her, a Katana that had yet to receive its soul. In the tradition of master Masamune he worked. The blade was coated first the hardening line was laid down, a mixture of clay, polishing stone powder, and ash, together with a lot of coal dust. Kruger hoped for something special with this sword. He sang to the earth that made up the mixture asking it for that which would make this sword uniquely Apple?s. When the hardening line was complete the blade was coated in varying thicknesses of clay. This would make better use of the heat treating process. Where it was thicker the back of the sword would become more flexible, where the coating was thin it would sharpen the blade to edge to its maximum. Andrea had been correct to say this process took months. One sword could take up to three months to finish. Kruger only made about ten of these a year. He hoped this sword would eclipse them all. He sang to the forge fires, telling them of his need. The blade must be heated evenly until it reached eight hundred degrees Celsius. To hot would cause the clay to crack and break, and to cold would cause the heat treatment to fail. He watched the color of the blade. Master Masamune had said that when it is the color of the rising sun, the magic moment had come to give the sword its soul. Kruger moved the blade to the quench, brine for a fast cooling. Fast cooling the metal would warp it into the characteristic curve. This occurs because the Shingani core of the Katana being a different metal cools at a different rate than the carbon steel shell. He gave the blade a first polishing; the haman line could be made out. The hardening process had been successful, but more than that could be made out. The Haman line distinctly read the word Caran. It repeated from hilt to point, Raye had said this was the word in her language for red. Nothing better described Apple in Kruger?s opinion. Kruger began to engrave the handle, Forged in Rhy?Din by Aristotle Kruger Allen. This would not be polished, or it might damage the work. He knew that some master sword wielders appreciated this detail. Now Kruger would engrave the Sinogi of the blade, he had drawn out an elaborate tree branch. Twisting around the branch were clusters of apple blossoms. It ran nearly the length of the blade and was truly the most unique engraving he had done. Somehow he thought it fit her, he hoped she liked it. Polishing the sword could take as much as ten days if done by hand. Here is where he diverged from tradition. He would use more modern tools to finish the job. Seven stones in three days, and this only because the final polishing with the Jijute, a stone which had to be no larger than a grain of rice, would be done by hand. Perhaps done by thumb would be a better description. He prepared a gold Suba guard, and red Suka handle. The Saya sheath was of the same red coloring as the Suka. The Saglyo on the sheath matched the Suka?s weave. Kruger applied a mixture of sword oil and Iron oxide to the blade, making sure not to over oil the Habaki, knowing that too much oil here would cause the wooden Koylguci at the mouth of the sheath to swell and make the sword difficult to draw. He looked at the Kasjira and the Kojira both had the same apple blossom as was engraved into the blade. Kruger drove the sword home into the Saya, and set it aside, it would be ready for Apple when next he saw her. Getting the Tamahagane, or Jewel steel wasn?t overly expensive when you considered the distance it had to travel to get to him. This was a place he hoped to improve his profit. He would make a place he could smelt it himself, and then he would only need the Iron Sand brought to him. Apple had told him she could do five hundred, he could have gotten that for the piece, but he would give it to her for half that. It pays to have friends in the business. He wouldn?t speak of it to Antonio or anyone for that matter. This particular project had been one of the most daunting he had encountered. He had needed to call in favors and more now. He owed people favors now; that was always a dangerous prospect. The ring of Klytus had come to him, he owed no favor for this, it was pure chance. It was the key to making this work, Kruger slipped it onto his left forefinger and concentrated. With the ring he could monitor the life signs of the creature occupying the metallic coral. The heat would need to be minimal to keep it alive as the customer wanted. It had been some time since Kruger had cold forged a blade. The effort always took longer because the metal would be far less malleable. It could be done though. First things first; the ring was used as a conduit to communicate with the creature. Kruger was glad it held memories from previous holders; he often wondered what it would take away from its time with him. He began as always, though to the fire he offered apologies for skewing the balance away from it. The music of the forge welled up inside him as he worked. He must sing, as always though he understood what it meant to do so now. This piece would not be possible otherwise, so he sang to soothe the creature inside the coral. To ask the aid of the elements he sang; when the barrier cracked open he knew it, he felt it like a cold breeze, then colder still as if arctic oceans had reached out to consume him. Still he would sing, and hold against the shivering. He was not alone, or so it seemed. This particular entity refused to make itself known, though it did seem to revel in the chaos of Kruger?s method. He knew every time the entity intervened to save the creature?s life. Each time it grew stronger than it had been previously. The shop had been closed down, locked from the inside so that Kruger would have no interruptions in this crafting. He would be at it for days without rest, to stop would be to put the entire thing in jeopardy. There would be time for sleep when his labor was finished. Bahrain, the word was whispered with a draconic slurring of the tongue. This was of course a region south and east of Rhy?Din. Kruger knew it to be more though, it meant two seas and he could see it as the proper name for such a creation as this. That the region was thought to be the site of Dilimun, the Sumerian Creation site, was apropos as well. This was indeed a creation of sorts, Kruger had never heard of its like before. These two things, paired with the draconic slur helped him to identify his visitor. 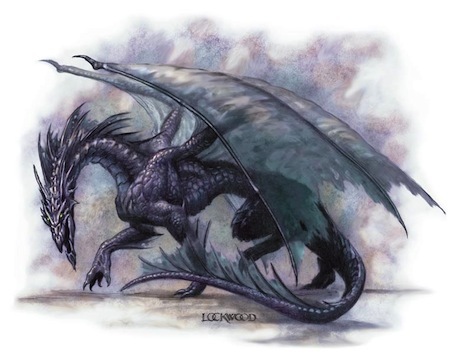 ?Welcome Tiamat, and thank you for your attention.? He added in words he hardly understood, that was another of the rings powers it seemed. ?Work on insssignificant creature, thisss processs izss far from finished, the child sshall be born from your effortss.? ?Bahrain, two seas?I can hear her?I can feel her and she is strong.? Kruger responded to Tiamat but his hammer never faltered. Under that ominous, chaotic gaze he worked until the Espada Ropera took its final blow. Next came the part for which he owed so many favors. The sheath was not his make, nor design. He had gone to others to fabricate it, a sheath on the outside, but inside it was the sea. The very place from which the coral had been harvested lay inside it. It was here that the coral would continue its growth. Kruger had only to bond the sword to the boy and the two would grow as one. Kruger carved his maker?s mark into the handle and installed the swept hilt over top it. A sword like this needed to contain such information. It would live long past him and perhaps add to whatever legend he was forging for himself in this life. He thanked the elements for their time and aid. He did the same for Tiamat, though she seemed loathe to go. He had be warned this might happen, and was prepared to send her if need called for it. The effort would take great strength and resolve. He was already exhausted from his efforts, Tiamat eventually turned away on her own as something from behind the barrier caught her attention. Kruger thought that he heard the voice of Bahrain calling her home. Gratefully Kruger laid down upon the couch he kept for such times as this and slept as the dead slept. He was asleep when that other presence that was with him almost constantly when he worked left him. He would come to wonder sometimes now if it was pleased or not with his efforts. For most the coming of sunset was the end of the day, but not for the pearl merchant. She was Kaldorei, trained by the night ruler, Elune, coming alive under her spell when her round orb would swell with reflected luminescence and ride across the sky to rule the stars and lay claim to the waters of the Mother, far below as they rushed to shore, and faded away again. Born into that most elusive race of night elves was Tyrande, elusive for what the night's darkness could not hide, their reclusivity and silent movement did. There would be no mortal to see a Kaldorei unless she, or he, wished it to be so. But here, Tyrande had seemed to be, so far, alone, meaning that she be the last of her kind. She therefore took great precautions, for quite a few reasons, to blend into the masses, as much as possible, or suffice it to say, at least not call attention to herself by being too off the mark - not that Rhydin had a "usual" population, but there were those unique individuals that, even here, stood apart. As the High Priestss of the Temple of the Elune of the Kaldorei, Tyrande Whisperwind would be one of those, one who stood part. She chose not to play it that way. Tyrande Whisperwind won one pair of fighting knives in the elven style, made of magically treated Birandium from the mines of Lloriana, home of the Mountain Elves, handcrafted from Kruger's Exotic Weapons Armor and Leather. The smith looked up at her from a workbench. Eyes of summer dried grass looked at her appraisingly. The brand under his left eye, a wolf looking out holding the all Seeing Eye in its mouth distorted with the smile he gave her. He laid aside the blade he was polishing with jijute stones. His appraisal had nothing to do with her form or figure, and everything to do with wondering what this person might need. She wasn?t what he would call the usual client. Her manner of dress indicated as much. He had people come in dressed similarly from time to time. They tended to know exactly what it was they were after from him. What he would call the usual customer were adventurers, city guards and other military types. There was the other side of the coin as well; thieves and cutthroats, and any manner of person willing to do whatever it took. His wares filled many niches in the community. Women were always an enigma, many were purchasing for a loved one. There were those who were buying for themselves and the range of weapons was as vast as an assassin?s weapons cache. His armorer?s eye had already placed her in a fully tailored suit of mail and armor before he ever opened his mouth to speak. He could pick out the right weapon, the right length barring any special preferences of the customer. His mind had her in a generic outfit that he was ready to modify any piece of to her standards. His measurements were always checked twice so that he only needed to cut once. If the woman was purchasing for herself, he already knew what items he would bring out for her. ?G?day to you, I?m Kruger. How may I be of service to you?? He offered her a calloused hand before realizing how dirty it was from his labor with the jijute. He lowered the hand as he saw its condition, but gave her no look of embarrassment. Calluses and dirt were the price of his trade, any who didn?t understand that tended not to come here more than once. It was nothing he said to them, merely a preference on their part to dissociate from the forge. His hair had been trimmed short recently, the curls were gone. It was hot here and long hair made it seem worse, it was best to crop it off. He wore corduroy today, dark brown, out of the legs peeked a pair of scuffed leather boots. He had removed his over shirt long before choosing to work in the ribbed green tank top instead. This would at least preserve some semblance of cleanliness should he decide to go to the inn or one of the local restaurants for lunch. He put fists to hips and gave her a crooked grin from his stocky five foot six frame as he listened to what exactly she needed. Kruger played what had become one of his favorite hobbies. Trying to pick out where the client came from based solely on their accent. He even managed to be correct occasionally. The problem with the game was there were so many more places than he had ever heard of. The need pushed at him, the lateness of the night was no deterrent. Neither was the fact that the noise would perhaps keep the neighbors up. It may have been true that he wasn?t the only shop keeper in the market place that would work all night long. Most of them however did something relatively silent, like selling food. The fires were hot now, the ideas taking him to places that he didn?t want to go but had no choice. Was he to leave now there would be no sleep anyway. ?Why now?? It had been only moments since Charles had left and the shape had started to take form within. Two requirements stuck in the smith?s mind as Kruger picked through his metal stocks looking for the right pieces. Like the great artists he could see the form in the pieces, he just needed to release them. Two pieces, which would be tonight?s requirement. The dark alloy was set to the flames as the bellows were worked in an incessant huffing. He could wish for the ability to form the metal as some others could at a thought, but then how would he have earned his reputation. A cluttered desk and two large sheets of paper draped each with a sketch of a double bladed axe in the Nordic style. He pushed the pieces deeper into the flames. Nearby were the crystal pieces that would serve for empowerment. Charles had asked for light, what better than the Eye of Horace the first drawing a wicked looking piece carved in the form of that eye. Metal would be cut from the blade to lighten it but in form it would remain strong. Forever Strong, these words etched deeply into the blades of the axe were fitting for this piece. Forever like the moon herself?the very eye of Horace in her waxing and waning. Just as strength waxed and waned, but in this like the moon it would be forever. In the very eye of the piece one of those crystals would be placed. It would be a focus for the battle mage, a mighty tool for his arcane work. The second sketch was just as interesting, a double headed Phoenix, and the two heads facing inwards at each other, wings stretched out curving to make up the blades of the axe. The story of the Phoenix was a well known one, death and rebirth in fire. Reminiscent of the sun?s rising and setting, only to rise once again. Charles had requested another addition of words to this axe. Victoria aut Mors lined the blades of the sketch. Victory or Death, so fitting for the Phoenix ?May you steal victory from the flames of defeat.? Centered on this piece another crystal would be placed it sat where the heart of the phoenix would have been. Another focus for the battle mage, Kruger thought to empower these before deciding it might be best if Charles used his own power. The familiarity of it would benefit him rather than having to learn a new control method. It was possible that they had similar methods, however magick is fluid, and there are thousands of ways to accomplish the same thing. Kruger pulled forth his bladed tongs, these were newly created and now served a dual purpose. Recent events had given him the understanding of what happens when others are allowed to interrupt his great works. The blade on the end of the tongs was about six inches long, the tongs were much longer it could be argued that this was a sword for its reach or perhaps a very short spear or javelin. Kruger considered it a combination of Rod and Athame. The blade hit the floor and Kruger walked clockwise east to south, west to north and east once again. He uttered words of power, calling the quarters as he reached the corners. ?The circle is cast, Master and Mistress of the universe I your son invoke you come and see this great work.? A cone of power centered on his anvil, his altar. The elements stirred, the tinkling voices of the Faery were barely discernible but there. ?The circle shall not opened until the work is complete?So Mote It Be! ?